Below are the Woodland Trust online guides to the native and common non-native trees found in Britain. Each species is listed with identifying features, benefits to wildlife, uses, folklore and mythology and any threats to its survival. Explore Britain's native trees. Discover useful identification tips, uses, value to wildlife and some threats that are putting our native trees at risk. Common non-native treesExplore some common non-native trees in the UK. Learn more about some of Britain's commonly found and naturalised species. Finding out about walks and talks given by people with an expertise and interest in trees is one way to learn more about Trees. The following resources are used by our Tottenham Trees experts. 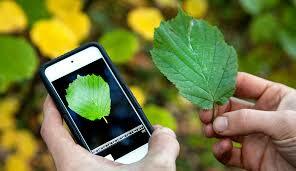 Leafsnap UK: uses face-recognition software to identify a species of tree. Natural History Museum in collaboration with US Leafsnap teams.